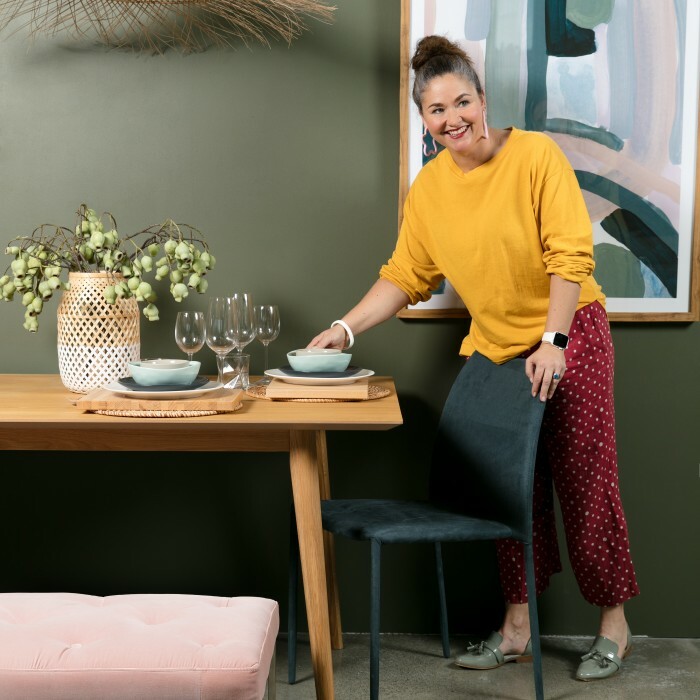 Armed with my trusted GEM Visa I was whisked off to a local Freedom Furniture store to style one item three different ways… Today’s item was the beautifully stylish Freedom Furniture Grace Bench Ottoman in Plush Pink Velvet. Taking the cue that this ottoman is not only good looking but also functional I wanted to add it to an entrance-way. We come and go from our home so it’s nice to have a place to sit, put our shoes on and contemplate what we need for the day. Space is also at a premium in an area like this so the ottoman is perfect to sit against the wall leaving plenty of room for human traffic. The soft pink colour way also brings a nice lift to a predominately neutral and natural colour scheme. Mixing up the seating around your dinning room table is an easy way to update the table’s look and feel. Adding an upholstered bench ottoman contributes a sense of luxury and texture to a usually hard edged setting. 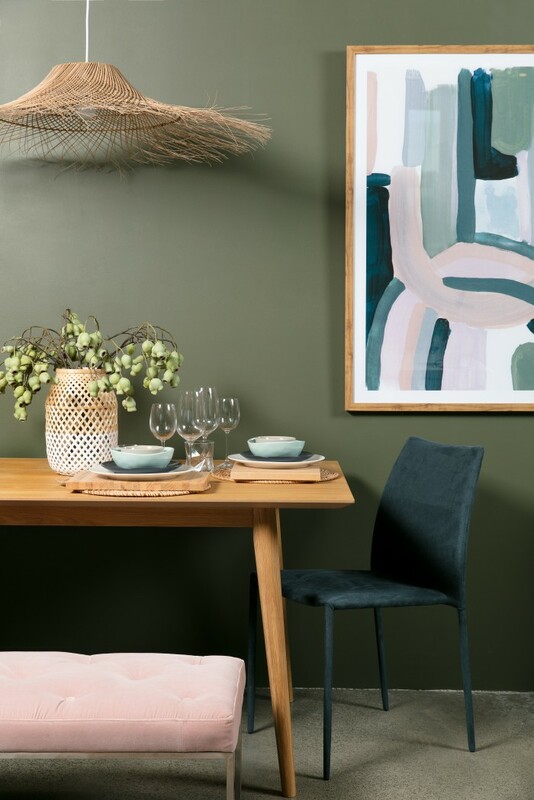 Team the bench seat with an upholstered chair in a complimentary colour and suddenly you have created a table-scape that is warm, inviting and and perfect for long lunches and family dinners. 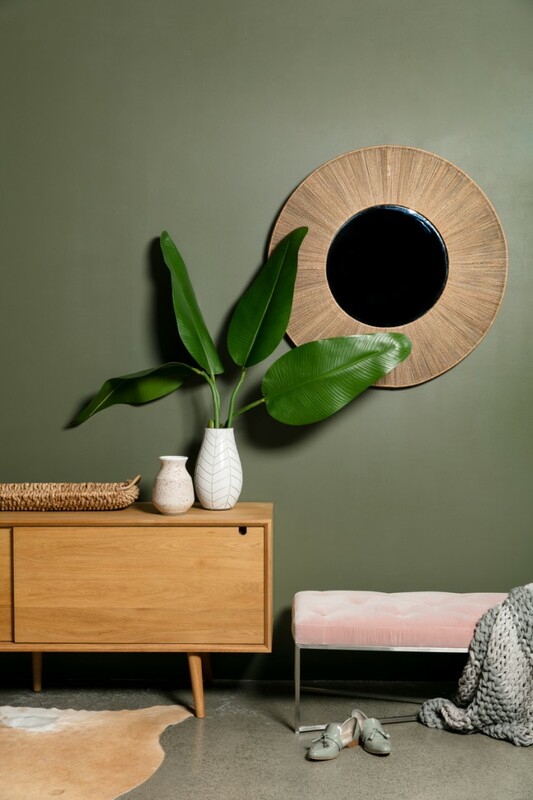 Colour clues have been taken from the artwork which allows us to play with subtle tones of seafoam, teal, dusty pink and white. The last room to get the ottoman treatment is the bedroom. 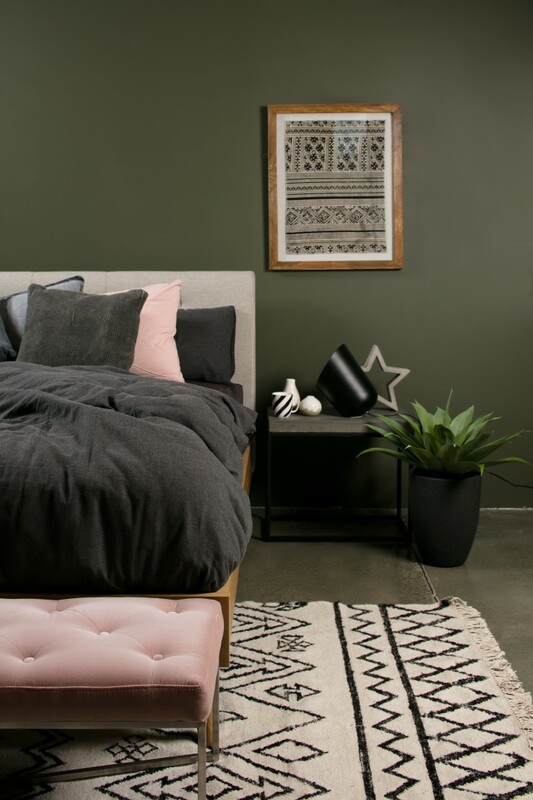 This setting with it’s slubby bed linen, concrete floors, and black accents could head into a more masculine zone but the blush pink velvet fabric of the Grace Bench Ottoman breaks that up. Add the same tone into the bedding and it ties in the soft colour perfectly to break up the heavy influence of darker tones. Each set wouldn’t be possible without the help of my fantabulous GEM Visa. 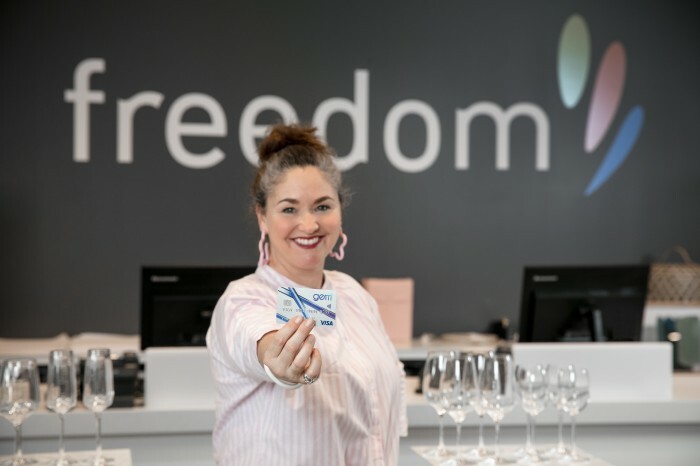 It really gives you flexibility when purchasing with long-term interest free deals with Freedom. So you can buy what you need and not pay interest for 6 months! Most definitely the smarter way to shop!